The edition is a topic-wise discussion on the law relating to services and dismissals in both the public and private sectors. 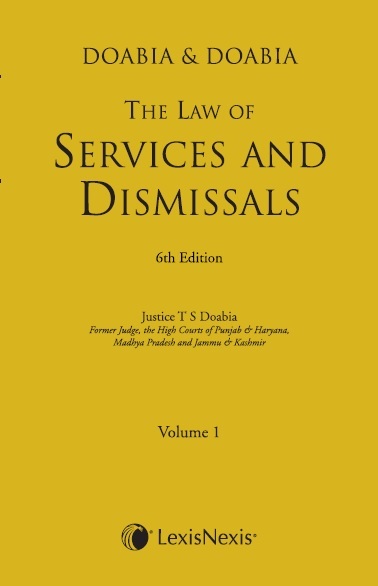 Divided into 22 Chapters, the book provides an in-depth analysis of various constitutional provisions and the rules and laws relating to conditions of service, including selection, appointment, seniority, promotions, reservation, disciplinary proceedings, role of Public Service Commissions, pay and pay scales and the role of the Pay Commission. It is an indispensable tool for keeping abreast of judicial developments in the field of service law.